The State Council on Asian Pacific Minnesotans has opened their 2012 nominations for their annual leadership awards which are given out each May during the Asian Pacific Heritage Month Annual Dinner. 3) to act as a broker between the Asian Pacific community and mainstream society. 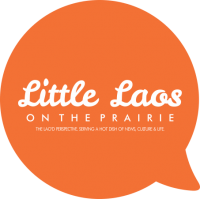 Over the years several Lao Minnesotans have been nominated and received awards from the council including Dr. Adisack Nhouyvanisvong for leadership in education, as well as the artists Mali Kouanchao and NEA Heritage Fellow Bounxou Chanthraphone for their leadership in the arts. As we approach the Year of the Dragon, who will be nominated this year from our community, if anyone? While the award in itself is a great honor, it is also important for Lao Minnesotans to recognize the importance of honoring the service of others. To happily put forward the names of others who serve our community. It is not a question of ego and self-promotion, but rather, identifying positive role models who are trying to build community, rather than those who tear it down. The best of those voices who encourage diversity in our thinking. I hope they are also people who have a respect for our traditions but also passion for new ways of connecting us to our world. Ultimately, they are people who constantly ask how we might improve the lives of others. When we look for nominees, we also grow as nominators. In the search process, we learn about the amazing work being done around us, and what more needs to be done. We also learn an important skill that has grown out of fashion in many circles: How to speak well of another fellow human being. We hope you’ll all give some consideration to who you’d like to nominate and see recognized in 2012!